The cover for The Love Fool by Lorenzo Petruzziello blew my mind. I LOVE it. I had to have it. I was ecstatic when I found I won a signed copy from a giveaway. My thanks go out to Lorenzo Petruzziello and Italy Book Tours. Cover done by Cover Kitchen. 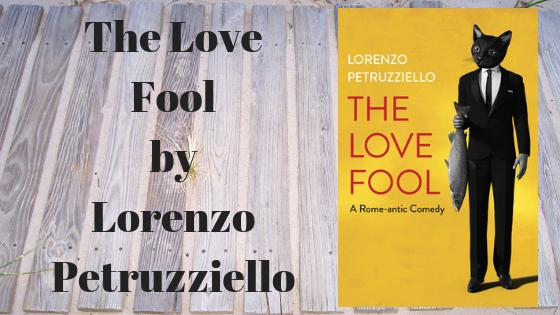 The Love Fool by Lorenzo Petruzziello is a fast, easy read with laugh out loud moments and a fool looking for love in all the wrong places, all while sightseeing, touring and eating our way through Rome, Italy.